A plastic file box can go a long way toward making someone feel comfortable in a new place. This is the goal behind the Welcome Box Project at Stanwood United Methodist Church. 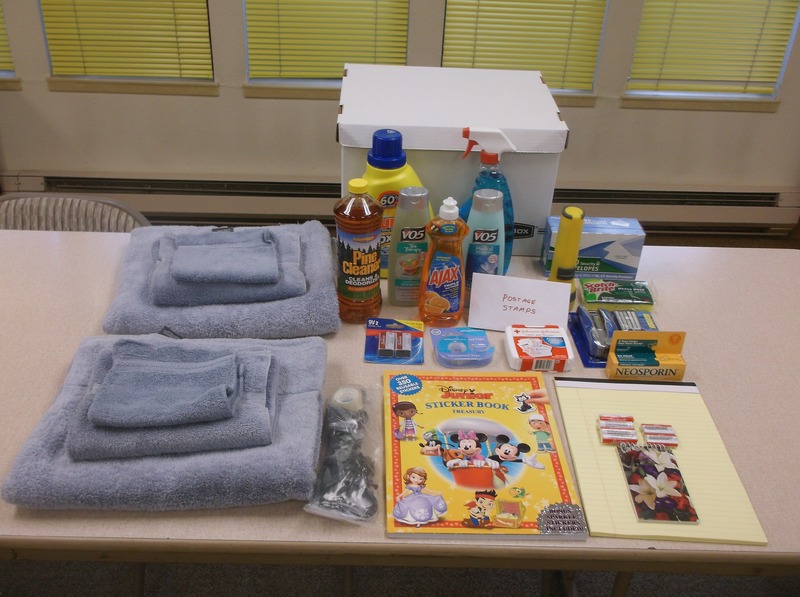 Families often come to the shelter with very little, and although there isn’t much storage space, some basic items can make the transition easier. Stanwood United Methodist Church provides Best Wishes boxes to families as they move from the shelter into housing. Since 2012, the Missions Committee has gathered donations from the congregation, then assembled a box for every family who moves into the shelter. A thermometer lets parents triage their sick children in the middle of the night. Envelopes, postage stamps and a calendar help residents pay bills and take care of other business. A flash drive and a file box helps them stay organized as they look for housing. Now in its third year, this project has made a big difference in the lives of shelter residents. We often hear how these items make life easier in a difficult situation. Stanwood UMC also provides Best Wishes Boxes, which give residents some necessities when they leave the shelter for permanent housing. A set of towels, hygiene supplies and a medical kit are among the items. The Welcome Boxes project has been so well received that we decided to expand upon it and create a Resident Pantry, stocked with cooking supplies, sheets, shower curtains and other items that families leaving the shelter need in order to set up their new homes. A big thank you to the congregation of Unity Center for Positive Living for a hugely successful supply drive that generated enough items to stock the closet for the first round of residents.